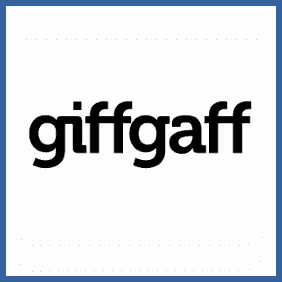 Visit the referral page and log into your account with your email address or Giffgaff phone number. Click the “order more SIMs” or “Invite Friends” button. You can either send a friend a SIM directly or invite them to order their own via your unique referral link. Once the SIM has been registered you’ll unlock your first bonus. Unlock 15 SIMs to join the Super Recruiter program. Either ask your friend to send you a SIM or get hold of their unique referral code. Either activate your new SIM once it arrives or order one yourself, using your friend’s referral code. Enjoy the benefits of your new low-cost, flexible phone deal. Get on board with the Super Recruiter program yourself! If you have a Giffgaff phone (taking advantage of their flexible, great value plans) you can refer friends and bag £5 Payback (which can be cashed out via PayPal) and £10 credit every time. Even better, once you’ve referred 15 friends you’ll become part of their “Super Recruiter” program, which gives you extra opportunities to earn when your new Giffgaff friend tops up. Enjoy great value plans, no contracts and £5 credit if you join GiffGaff with the referral code below.